The original Latin lover will be in town on Thursday to serenade city folks in a free concert at colourful Bintang Walk, held to mark the relaunch of the popular Starhill Gallery there. Organiser YTL's group managing director Tan Sri Francis Yeoh says the Concert Of Celebration, starting at 8pm, casts light on the new architectural facade of the Gallery as well as its many luxury fashion brands. 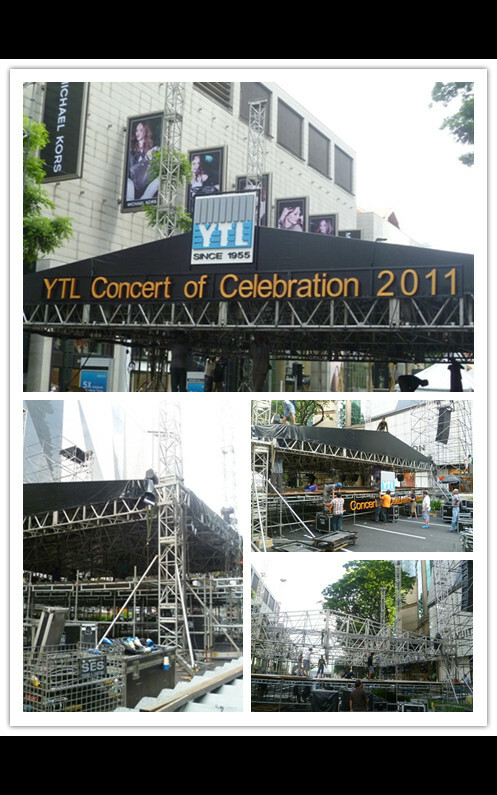 Heys friend, i am luckily enough to involve in this concert crew. I feel excited for tomorrow shows. Lets pray together for the great show can be launch and end nicely and smooth. 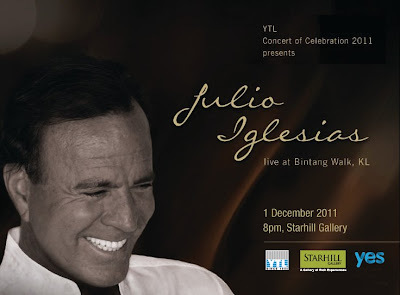 Julio iglesias, any one of you was his fan? 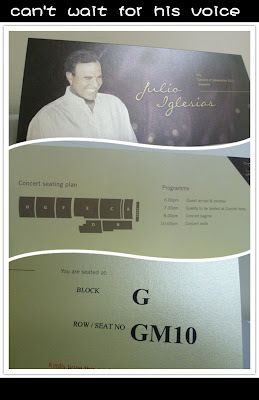 If u r, pls feel free to come and be his supporter there. 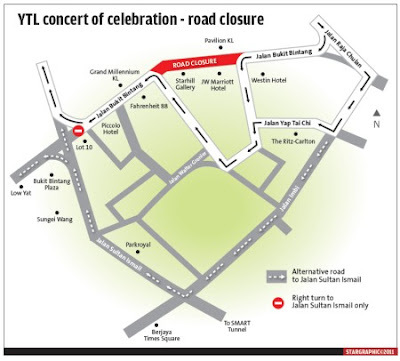 THERE will be road closures and diversions for YTL Corporation Berhad’s Concert of Celebration featuring Julio Iglesias. 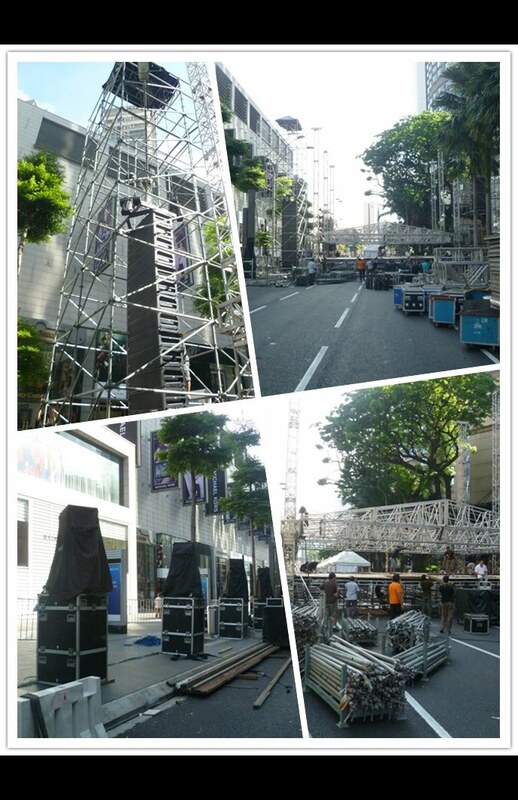 Jalan Bukit Bintang from JW Marriott Hotel to Starhill Gallery will be closed from midnight on Nov 30 to 4am on Dec 2. Visitors and concert guests will be able to access the area via two routes — from Jalan Bukit Bintang, turning left just before JW Marriott Hotel and from Jalan Imbi turning right into Jalan Yap Tai Chi. Traffic will also be diverted at the crossroads of Jalan Bukit Bintang and Jalan Sultan Ismail near Lot 10.